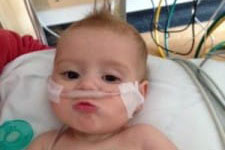 If your baby has a complex medical condition, you want the most advanced care available. 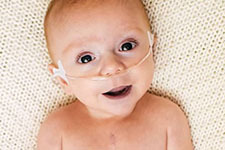 At the Fetal and Neonatal Institute at Children’s Hospital Los Angeles, our highly skilled team provides comprehensive fetal and neonatal care for the tiniest of patients and their mothers. From identifying and treating conditions in babies still in the womb to delivery and postnatal services, we offer an innovative model of care for better outcomes. Our medical and surgical experts work together using groundbreaking diagnostics and surgical techniques to deliver compassionate, coordinated care, all in one convenient location. The Institute’s Fetal-Maternal Center is one of only a few centers in the nation to provide comprehensive care when a fetal condition is suspected or confirmed for mothers with high-risk pregnancies. 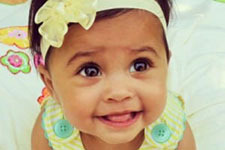 The Center helps hundreds of mothers each year whose unborn babies are at risk for life-threatening health conditions. 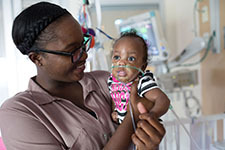 The Center pairs doctors of Keck Medicine of USC with children’s specialists and RN care managers at CHLA to provide the best possible care for mothers and babies. Our team works with your obstetrician and delivery hospital to develop a plan of care to ensure your baby receives the care needed to ensure the best outcome. We have specialists across many medical disciplines. They identify and treat conditions in children still in the womb through fetal surgery and other advanced procedures. 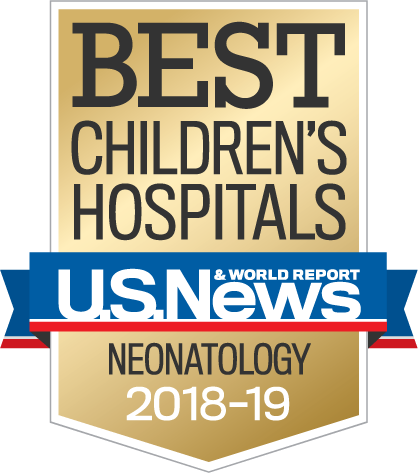 Our neonatal intensive care unit treats critically ill infants who need highly specialized medical and nursing care for the full spectrum of neonatal diseases and conditions. As a Level IV unit, the NICCU offers the highest level of infant critical care available. Our patients have access to a wide range of pediatric specialists who work together to provide a diagnosis and treatment plan. Our expert team provides ongoing evaluation and care for babies who are at risk for developmental issues related to conditions they were treated for in a neonatal intensive care unit (NICU). Our High-Risk Infant Follow-Up Program offers ongoing care to ensure we meet your child’s special medical needs for growth and development. Fetal Maternal Center (FMC) – to refer a mother for definitive fetal diagnosis or for a second opinion, please contact our main FMC office at 323-361-6078. The Steven and Alexandra Cohen Newborn and Infant Critical Care Unit (NICCU) is able to care for the most challenging neonatal conditions. We have a dedicated transport team that is able to provide ground and air transport. To speak to a neonatologist, call 323-361-2531; to refer a patient for transfer, please contact the Access & Transfer Center at 888-631-2452. High Risk Infant Follow-Up – our program is an extension of our NICCU. To request information or to refer a patient, call 323-361-6488.